I love writing. My specialties are business and health, but I've written about everything from cellphone towers encroaching on residential neighborhoods for AARP, to a female deputy assistant prosecutor who tries murderers. I've been freelancing for the business section of The New York Times for 20 years. Most recently I've written the Workspace column, a photo essay about people's interesting offices in Sunday Business, and I was the lead writer of the Vocations column, about interesting jobs. The section was redesigned in November 2018, and I'm on to new challenges. One of my favorite columns was The Boss (also on Sundays), now discontinued. I've interviewed so many memorable people, including Joan Rivers, Charles Schwab, Evan Williams ( the former Twitter CEO), Joel Myers (the AccuWeather CEO), and Alexandra Cousteau, to name a few. Occasionally people will say: "You must hear the most amazing stories." That doesn't begin to tell the half of it. Talking to these leaders was fascinating. I also contributed to, among other columns, My Job and Preoccupations, a worklife column. 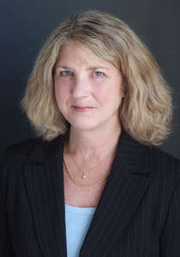 Search on my byline, Patricia R. Olsen, at www.nytimes.com to see hundreds of my articles in more than 10 different columns. Occasionally I write for custom publications and corporations, taking care not to blur the line between journalism and corporate writing. A recent project for a major telecommunications company involved reporting on how their technology is benefiting underserved students and community health centers in and around Boston and New York City. I am writing to tell you how much your writing style - at least in The Boss column - reminds me of reading Studs Terkel's Working. I devoured Working when I first encountered it and thus have a pleasant connection whenever I read one of your features on Sunday. Magazines and newspapers in which my work has appeared include Continental, Harvard Business Review, Diabetic Living, the Alzheimer’s Foundation magazine, Remedy, PROTO (published by Massachusetts General), USA Weekend, ForbesLife Executive Woman, Business Traveler, The Waldorf Astoria Magazine, The San Francisco Chronicle magazine, Family Circle, and MORE. I've contributed to numerous websites and alumni magazines as well. For almost ten years, I've written the front-of-book executive column in Family Business magazine, and I wrote the executive column in On Wall Street magazine for that amount of time, too. I've written a monthly small business column for a custom publisher, as well as a column featuring parents' experiences for a college planning website. I blog for an addiction treatment center and have ghostblogged for a number of executives. 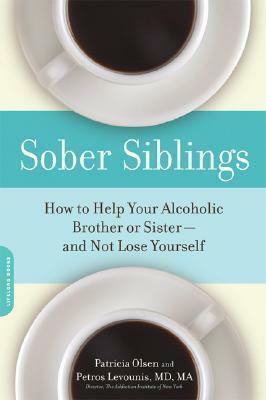 In 2008 I published Sober Siblings: How to Help Your Alcoholic Brother or Sister -- And Not Lose Yourself (DaCapo Lifelong), with Dr. Petros Levounis, M.D., which is available on Amazon. I'm also available for co-authoring or ghostwriting others' book proposals and books.